I almost decided I didn't want to do a monthly favorites for the month of January. There wasn't many products that I used consistently and loved throughout the entire month. 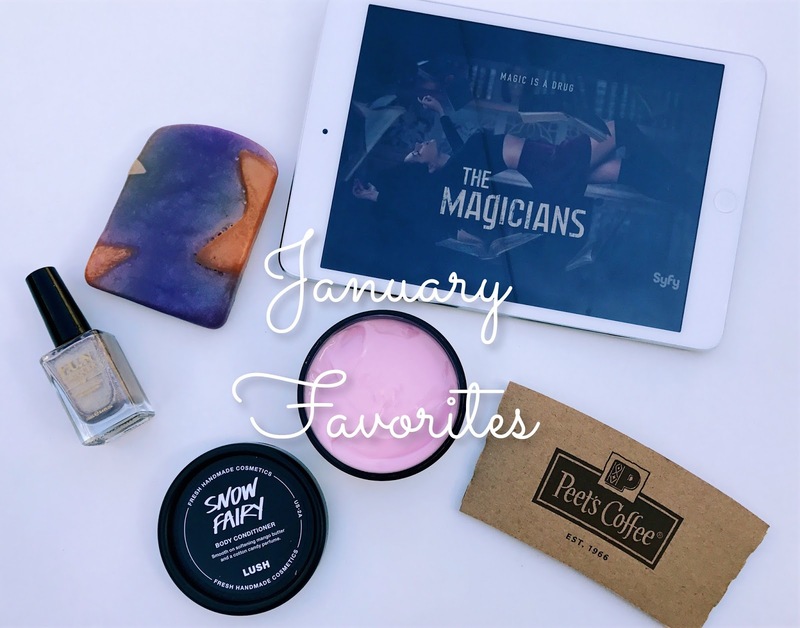 Sharing a monthly favorite post with you is a favorite of mine so instead I thought my current somewhat random favorites was the perfect alternative. This post will consists of things that I recently discovered and have been enjoying them within the last couple of weeks or so. The first favorite I want to talk about is I think the only item that I have been using religiously and loving the entire month of January and it's the Shooting Stars soap from Lush Cosmetics. This wouldn't be a monthly favorites if a Lush product wasn't included. I shared and spoke a lot more about this soap on my lush haul earlier this month and since then I've had it in my shower. 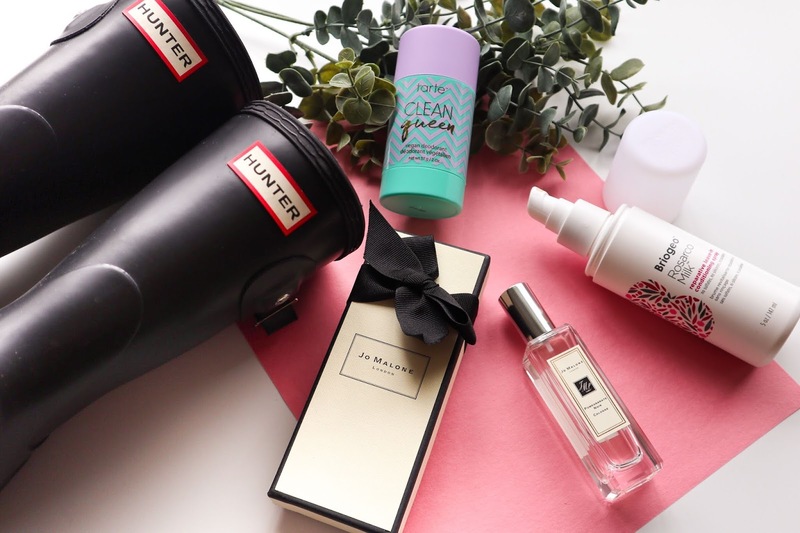 If you haven't checked out that haul post yet I would suggest you do so. It's filled with tons of wonderful goodies that I picked up during their after Christmas sale. I've been really enjoying this soap mainly because of the fresh citrus scent, and because it also leaves me feeling super clean. I love using this soap on weekends since I start my day a lot earlier and I'm up around 6 am. The scent does a great job at waking me up, its perfect to help start off my day. I believe this soap is seasonal but you can still find this it on their website. It is currently still on sale and is marked down for 50% off! A second Lush item made it to my favorites. I just couldn't not talk about this even though I haven't used this product all month long. I've only used it a couple of times and I already know that it's a favorite. I purchased the Snow Fairy body conditioner once again during the BOGO after Christmas sale. This was included in one of the gift sets I picked up. I was excited to give it a try since I love the scent of Snow Fairy. I love the concept of this product since you are to use it in the shower after you are done washing yourself. You massage some of the conditioner onto your skin leave on for a couple of mins then rinse off. I used this for the first time earlier this month along side with my D'Fluff shaving soap. My legs can get very sensitive from shaving especially during the summer since I'm shaving a lot more. Once I finished shaving I applied the Snow Fairy conditioner all over my legs and let it sit there for a few minutes to really soak into the skin. Once I hopped out of the shower and dried off, my legs were so incredibly soft that I didn't even need to moisturize afterwards. My legs remained feeling soft and moisturized for at least two days after I used it. I was so pleased with this product after the first use and I know I'm going to love it especially during summer time! I've always been a Starbucks girl and if I find something I like I usually stick with it and won't try anything else. One day I met up with my cousin for lunch and afterwards she took me to Peet's Coffee. I've seen this coffee shop countless of times but I never thought twice to check it out. I was told that their coffee was a lot stronger compared to Starbucks and I wasn't really into coffee until last summer. I was more into the added flavoring that we all know Starbucks is well known for. When we were about to order our drinks at Peet's I saw on their menu that they have an iced white mocha which is my favorite. I really enjoy espresso drinks so I decided to order that. 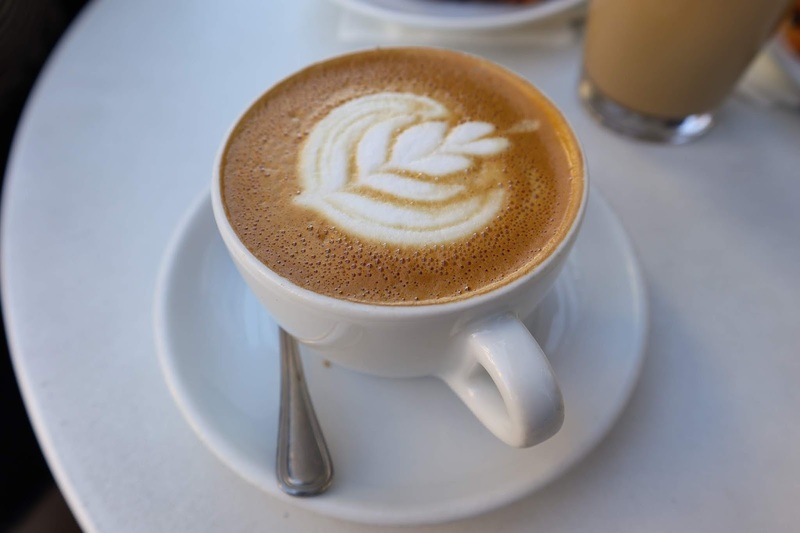 It is definitely true what people say about their coffee being a lot stronger but I loved it! My coffee was perfect without having to add any extra shots of espresso (something I've been needing to do at Starbucks a lot recently). This drink was so creamy and rich in flavor, and not overly sweet. I immediately told Rudy about it and the following morning we went into Peet's so that he could try it out himself. I've been really loving Peet's coffee over Starbucks and I never thought that would happen. Trying out a new coffee place has really made me want to experiment new coffee shops. I can thank my cousin for this new obsession of mine ha ha. One afternoon I came across a commercial for a show called The Magicians. There was a lot of magic and mystical creatures in the preview which really intrigued me. I love all kinds of fantasy type stuff, Narnia, Lord of the Rings, Harry Potter ect. I had never heard of the show prior and decided to look it up online and found out that it was season two that was about to premier. I found season one on Netflix and I began watching it that same day. I'm really happy I found out about this show because like Bates Motel it is different from anything that I'm currently watching or ever watched before. I think it's so neat how they cast spells using hand motions it's so different that reminds me a lot of sign language. At first I wasn't a fan of the main actor who plays Quentin but I now love him. Alice is also another one of my favorite character in the show she is so cute and I love her style. I just finished season one last night and wow! I'm so sad because now I'm going to have to wait to watch one episode once a week haha but I look forward to see what's going on in season two. I did begin watching it last night but I got too tired and went to sleep. I did start rewatching season one this weekend with Rudy since he wanted to start watching it and he's already loving the show. If anyone watches the show let me know and let's talk about it! I'm extremely picky when it comes to glitter nail polish and only like a select few. Most of the time I don't like them and won't even bother since it's always a huge pain to remove it off your nails. 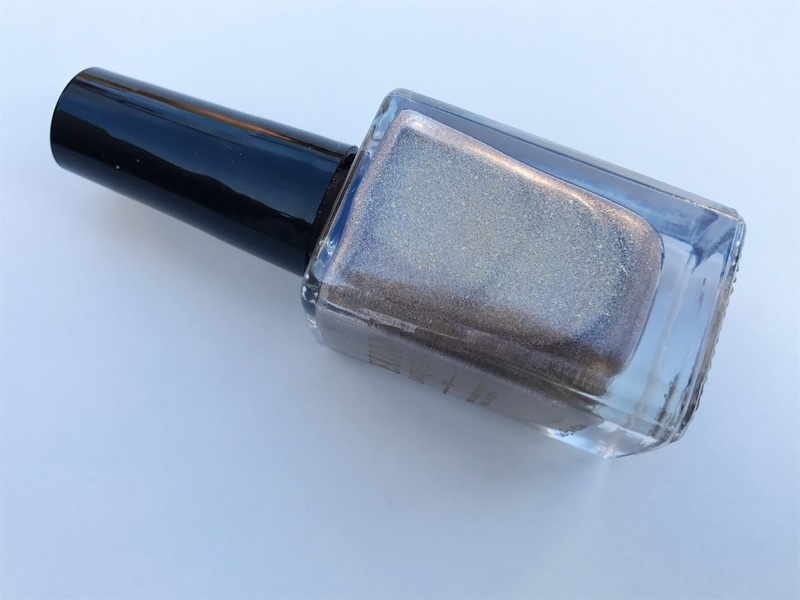 The beginning this month in my Ipsy bag I received a nail polish from the brand F.U.N Lacquer in the shade TGIF. Immediately when I saw this in my bag I was in love with the gold holographic shade. This is such a unique shade it also reflects copper, I don't own anything like it so I needed to share this. I already painted my toes with this polish and I love the way it looks. This will be a fun polish to wear on its own or even over top of another color which is what I'm planning on doing soon on my hands. This brand is also cruelty free which is so great since I am choosing to only support brands who are cruelty free. What have you been enjoying during the first month of the new year? 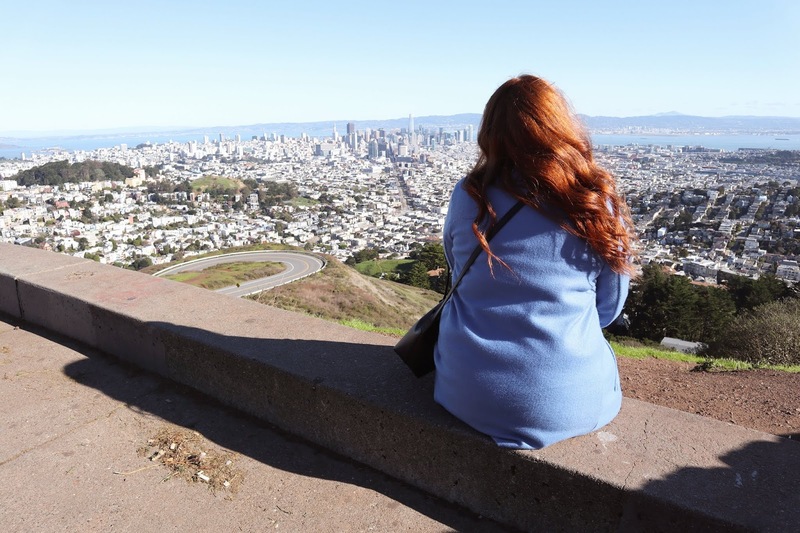 Yay a new post! I missed you posting. I am so glad you loved The Magician, oh Quentin! <3 I think an additional favorite of mine is all the great shows I've been finding lately thanks to Netflix. Awe :) I wasn't even going to post this and decided to work on it super last minute. I've been checking you blog almost daily for a new post and the day has finally arrived. I enjoy reading your posts about lush they are a really great company. I learn so much from you. That's so sweet I'm so happy you enjoy my posts. I love Lush! I want to try so much more of their products, I have a list ready haha. I love snow fairy body conditioner. Have you tried the ro's argan one? If you like rose scents you're going to love it I remember you purchased rose jam shower wash.